This is for me, right? Right! 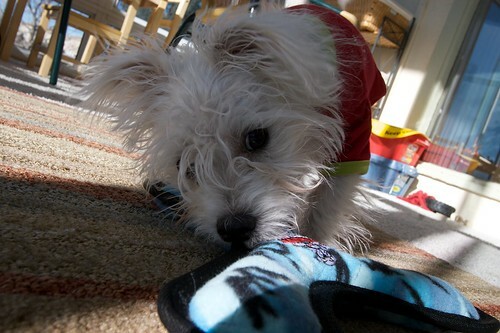 Scruffy takes the bait, er, toy.